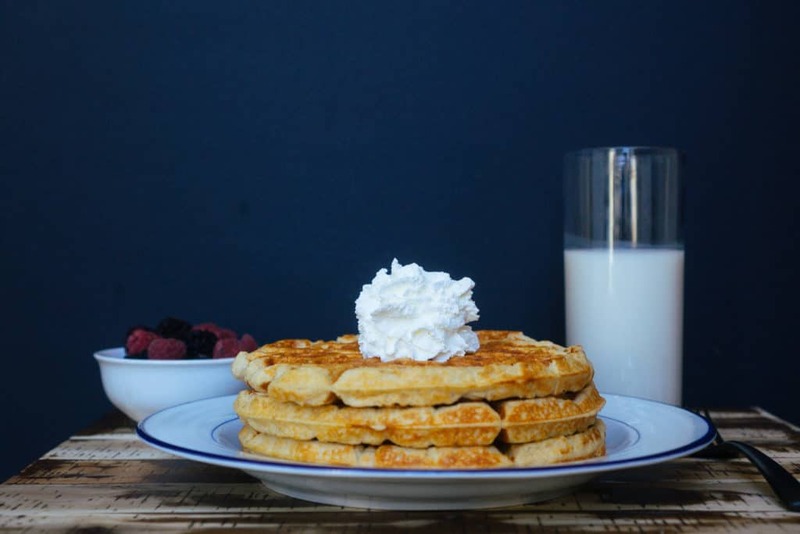 This Protein Waffle Recipe is basically a nightly staple in our household. If we aren't making protein waffles we are making mug cakes using protein powder. It's the perfect guilt free, quick to whip up, post dinner snack/dessert! Check out the video below to see how easy it is to make. Best Protein Powder For Keto! We are big fans of using protein powder in our household! They add flavor and texture to an array of things, such as smoothies, desserts and waffles, of course! We always have a nice selection in our pantry depending on what we are looking to make and what flavor we are shooting for. Isopure Cookies And Cream - this is our favorite flavor and for making protein cakes and that best part is its zero carb! Nutrabio Peanut Butter Cup - this is our favorite flavor to add to smoothies and keto overnight oats and it has a really strong chocolate flavor! It's also the best quality protein in our opinion. Quest Cinnamon Crunch - this is our all time favorite for mug cakes and waffles! It is slightly higher in carbs using erythritol, but that's flavor and texture make it a worth it! The best part about making protein waffles at home is the ingredients can easily be adjusted to fit your macros to the very last gram! If you want something heavier on calories you can add in some heavy whipping cream or nuts to the batter, or even top it with additional butter. If you want it lighter on the calories, you can leave out the butter from the batter and swap in water for almond milk for the batter. If you are anything like us, you always have a post dinner sweet tooth, but you don't want to ruin it by downing an entire pint of halo top or eating two bars of lilys chocolate bars. So, what do you do? 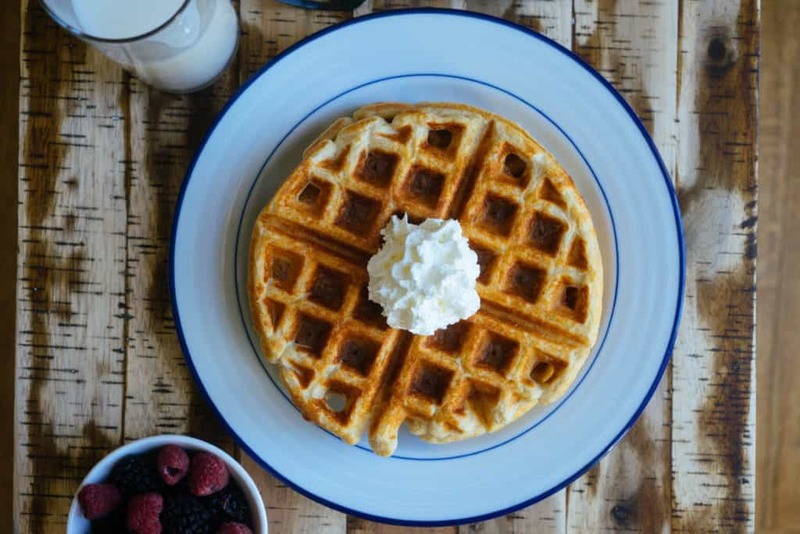 You make this keto friendly protein waffles, that will not only satisfy your sweet tooth, but fill you up so you won't give in to the very common late night snacking! 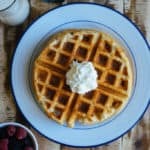 Recipe can be quickly added to MyFitnessPal - Search "KetoConnect - Keto Protein Waffles"
Melt the butter in a pyrex measuring cup or small mixing bowl. Add the rest of the ingredients and combine using a fork. Preheat you waffle iron and pour 1/2 of the recipe into the iron. Close the lid and cook until cooked and browned. Repeat with remaining batter. Serve immediately with additional butter or your favorite sugar free maple syrup.